Anand Grover referred to the special 2G court verdict dated December 21, 2017, by which all the accused in the 2G cases were acquitted and refuted the claim that he had delayed the finalisation of appeals in the 2G cases challenging the special court's verdict. Senior advocate Anand Grover moved Supreme Court to relieve him from all 2G cases. 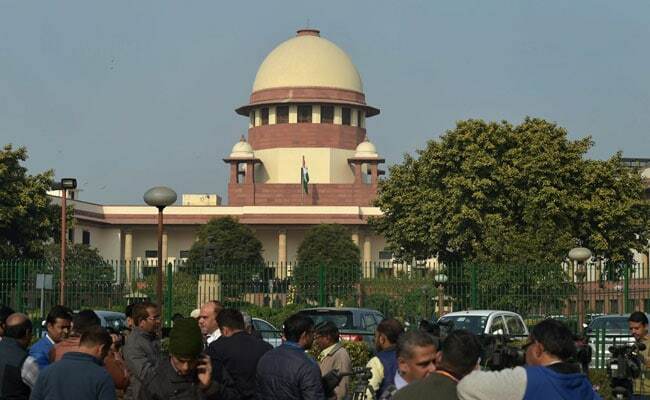 New Delhi: Senior advocate Anand Grover, who was appointed as special public prosecutor in 2G spectrum allocation cases in 2014, today moved the Supreme Court requesting that he be relieved from all the 2G cases in all courts. Mr Grover cited two recent notifications issued by the Centre appointing Additional Solicitor General Tushar Mehta as special public prosecutor in appeals of 2G cases. "That the applicant be relieved of the charge of being the Special Public Prosecutor in all the 2G cases in all courts," his application said. He referred to the special 2G court verdict dated December 21, 2017, by which all the accused in the 2G cases were acquitted and refuted the claim that he had delayed the finalisation of appeals in the 2G cases challenging the special court's verdict. He referred to an order issued on February 8 by the Department of Personnel and Training in the official gazette, which said, "The central government hereby appoints Tushar Mehta, advocate, as Special Public Prosecutor for conducting prosecution, appeals/revisions or other proceedings arising out of the cases related to 2G Spectrum investigated by the Delhi Special Police Establishment (CBI) in the Court of Special Judge (2G Spectrum cases), CBI, New Delhi, and appellate/revisional courts." The notification did not mention about Mr Grover who was recommended by K K Venugopal, the Attorney General, when he was representing the agency in the Supreme Court. Mr Grover had replaced U U Lalit after he was elevated as a Supreme Court judge. Mr Grover was appointed as the special public prosecutor by a bench of the Supreme Court led by the then Chief Justice of India H L Dattu.